Yehovah created “the man” with two distinct natures. The first nature is that of the earth from which he was created. This is a tangible, sensual, fleshly, animal nature. It is this nature that we have in common with the animals. Because this nature is tangible, it is driven by its senses and appetites. This nature needs food, shelter, and rest to keep the flesh alive. We are all born according to this lower nature into some kingdom of the earth. But if we will never repent, leave our (I’m talking to men) the kingdom of our birth and begin to follow our Creator’s ways, we will continue in the way of the flesh and perish. We need the bread that comes from heaven to live eternally; we must hear it, internalize it and do it to find eternal life. 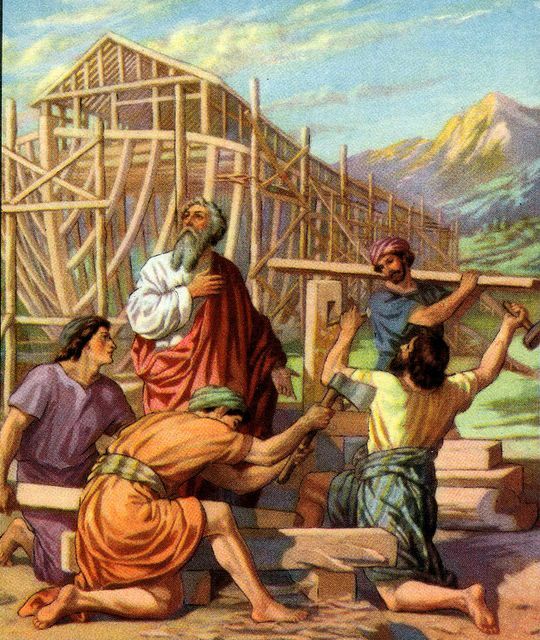 Noah was about his Father’s business. The second nature of “the man” is a nature that a man has in common with Yehovah. Through this higher nature the man communes with the Creator Himself, receiving revelation knowledge, usually through His word, on how to live and manifest His image and kingdom in the tangible world. While studying Revelation recently I noticed a couple of phrases that jumped out at me. They were speaking of two different groups of people. The first group is those that “dwell on earth” and the second consists of those that “dwell in heaven.” I had always figured, in my flesh, that those that dwell in heaven were probably angels. Silly me! These men appeared, in the flesh, to live in the land of the Amorites, but in fact served another king and kingdom. If we (men) choose to dwell on earth, because of the fear of man, we will reap destruction in these last days. But, those who trust in Yehovah and learn to dwell in heaven, will be safe. In part 2 we will see what Revelation says about these two groups of people. Here is a link to Dwell In Heaven and Live.